A 12-member business delegation returned home last week after a five-day visit to Fiji, full of hope, ambition and entrepreneurial spirit. 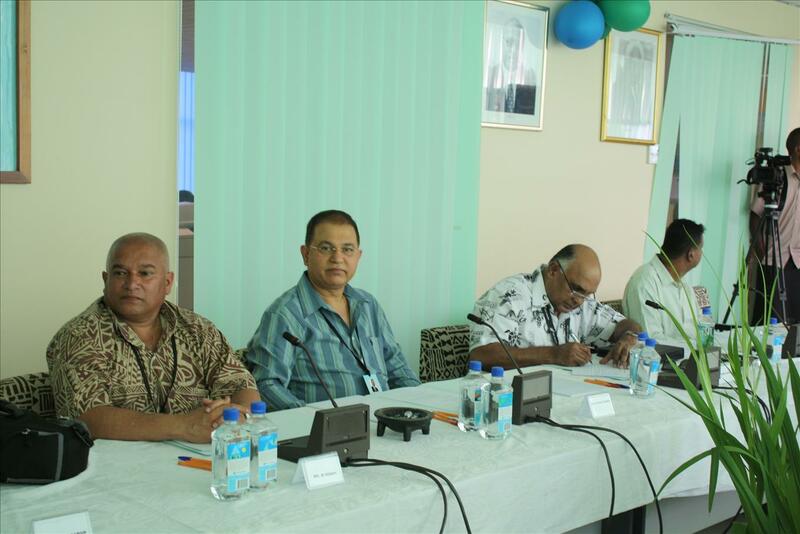 In just five days (from July 30 to August 3) most of them have secured, or in the process of securing, Memorandum of Understanding followed by commercial arrangements with companies and businesspersons in Fiji. These moves will accord them the potential for a long, sustained and mutually beneficial business partnership with Fiji, which has unfortunately suffered economic and political sanctions from several countries of the advanced world, especially New Zealand and Australia (more of these later). Harish Lodhia, Honorary Consul for Fiji in Auckland, Robert Khan, Owner & Managing Director of Radio Tarana and Indian Newslink Editor were the facilitators of the Delegation, details of which appear separately in this Special Report. It was fun mixed with business for the businesspersons, some of who were visiting Fiji for the first time. They did not see military personnel patrolling the streets or policemen and policewomen guarding government offices or even media houses. They did not see people panicking as they went about their daily business, selling the daily produce in the Nadi or Suva vegetable and fruit markets; or taking decisions in the air-conditioned comforts of their private office suites or board rooms. They did not hear a single complaint of someone being ‘harassed’ or questioned, unless that someone went beyond the tenets of the law. What they did see was peace, harmony, friendship and most important of all, Fijians ready to engage with New Zealand businesses. The fact that the Australian and New Zealand governments do not see eye-to-eye with their counterpart in Suva and the fact that most Fijian ministers and government officials are still not allowed to travel to these two countries (this is gradually changing) did not matter. Everyone in Fiji, including Prime Minister Commodore Josaia Voreqe Bainimarama, is focused on one objective: to take Fiji forward, and accentuate economic and social development. Fijians live in poverty, healthcare is less than adequate and literacy levels need to be lifted. But these are problems that confront every nation on earth. However, the most critical challenge that Fiji in general and Mr Bainimarama in particular faces is to return the country to democracy, handing over the reins of the Government to a popularly elected Government. This is not an easy process in a country that has seen four coups in less than 20 years – the last one, on December 5, 2006, staged by Mr Bainimarama himself, was the most peaceful, earning the approval of a majority of people in Fiji and Fijians living overseas. Ensuring equality to all is an integral part of the new Constitution, which will be unveiled this month, will allow time for people to understand their rights and responsibilities and be ready for the general election due in September 2014. 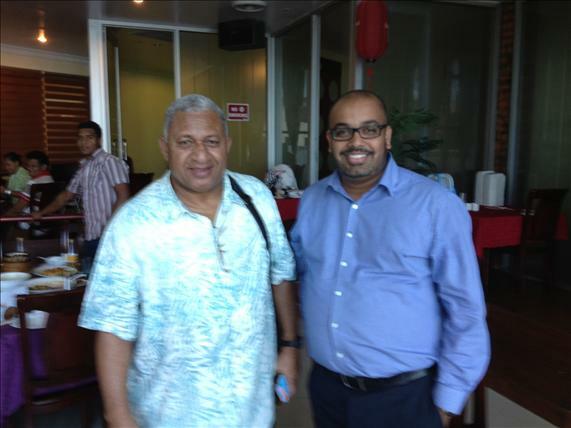 Mr Bainimarama wants the world to understand Fiji and the formidable issues that it is confronting at home and overseas. He wants countries, especially powerful neighbours such as Australia and New Zealand, to appreciate the efforts of his Government in putting the house in order before people can vote. “We are finalising a new Constitution that specifically includes, for the first time, socio-economic rights for all Fijians. These are fundamental rights of economic participation, right to work, the right to a minimum wage, transportation and water. Our new Constitution will introduce long overdue democratic principles. For the first time, we will have an electoral system that removes the legal enforcement of ethnic voting, enshrines one person, one vote, one value and helps voters focus on the merits of the policies offered by respective political parties,” he said. There was a general feeling among Indo-Fijians in Fiji to rebrand themselves as ‘Fijians,’ to reflect the commonality of their citizenship and in consonance with the Government’s desire to bring about equity for all. The term ‘Fijian’ is therefore being widely used to refer to people of Fijian origin living anywhere in the world. Mr Bainimarama is also keen to ensure that the Government, both existing and emerging, will be transparent and accountable to Parliament in the first instance and to the people of Fiji ultimately. Corruption has been a major problem faced by Fiji over the past several decades. Low salaries, absence of legalised minimum wage and poverty have been the factors that bred corruption in high and low places. Neither Mr Bainimarama nor the Accountant General and Justice Minister Aiyaz Sayed-Khaiyum made any apology for the stringent action against bribery. A political observer told me that corruption was so endemic in ministries and government departments that it was essential to take tough measures. “That is the reason for many military officers holding civilian posts,” they said. Corruption is a swear word in today’s Fiji. 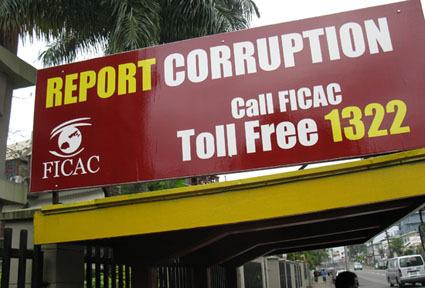 Hoardings asking people to report corruption can be seen in many parts of the country, especially Suva, the seat of the Government. While Mr Bainimarama, his ministers and officials welcome New Zealanders and Australians to visit as tourists or investors, there was an indubitable feeling of hurt over the drastic (and in their view unjustifiable) action that Wellington and Canberra took soon after Mr Bainimarama ousted the allegedly corrupt Laisenia Qarase Government and installed his own military regime on December 5, 2006. Foreign Minister Inoke Kubuabola has no qualms about stating how disappointed Fiji feels, both at public meetings such as the Australia Fiji Forum (held in Brisbane recently) or in private conversations. “Australia and New Zealand chose to punish Fiji for finally addressing the deep divisions in our society, lack of equality and genuine democracy and the corruption that was destroying our country from within. Our doors were always open to you but you chose not to enter,” he said. Mr Kubuabola said that Fiji no longer confined its vision to Australia and New Zealand as its natural allies and protectors but is expanding its vision towards the wider world. “Jolted from our complacency by the doors that were slammed in our faces, we looked North, to the great powers of Asia, especially China, India and Indonesia and more recently to Russia. We looked South, to the vast array of nations, big and small, that make up the developing world and we currently chair the G77, the biggest voting bloc at the United Nations. “And we looked to our Melanesian neighbours, to forge closer ties with them and use our collective strength to make our voices heard in global forums and secure better trading deals for us all,” he said. If our readings are correct, Fiji will continue to march ahead, regardless of the tough stand taken by Australia and New Zealand. It will continue to engage with our businesses, rewarding them with contracts and commercial opportunities, wherever it deems fit to do so. As an independent nation, Fiji values its sovereignty and integrity and hence will not allow, as Mr Bainimarama said, anyone to ‘bully us.’ Korea has also evinced interest in Fiji’s infrastructure development – Mr Kubuabola met a delegation from that country when we were in Fiji – and hence, this South Pacific nation will have the luxury of several options. Australia and New Zealand would have cause to regret, if they do not give up their stand and extend a hand of friendship to Suva. Fiji would emerge as a stronger nation next year after its general election. Canberra and Wellington may find themselves in a mood to discuss restoration of ties with Fiji but this country will do so on its terms.